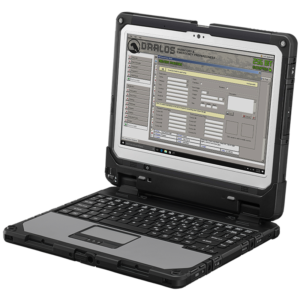 DRALOS™ allows you to keep a secure, encrypted record of your inventory stockpile and any amount of digital files, in case of a disaster. DRALOS™ helps track your inventory stockpile and any amount of digital files, in a secure, encrypted program that you can use on your PC a USB drive. Keep your photos, documents, records, and inventory of emergency supplies digitally encrypted and portable with DRALOS™. DRALOS™ helps you organize your canned food stockpile. It even reminds you when it is time to rotate stock for your food and perishables. If you can food, keep canned food, and stockpile, then DRALOS™ is the perfect inventory management software for you! DRALOS™ gives you the peace of mind to better manage the situation so you can focus on your family’s immediate needs. DRALOS™ prepper inventory management software allows you to keep an encrypted inventory of your stockpile in case of emergency or disaster. Data stored in DRALOS™ is protected by 256-bit encryption – the same encryption used by the US military. Your personal data is SAFE and SECURE.